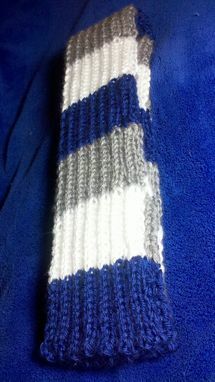 This scarf is made from 100% Acrylic and is thick and soft. Wrap it around your neck comfortably to keep the cold air out. Scarf can be customized to be made longer or shorter.